DENTON, Texas, September 21, 2017 /3BL Media/ - Tetra Pak's Packaging Material Converting Factory in Denton, TX is getting ready for new technology to support the growth of its business in the U.S. and Canada. The plant’s expanded capabilities are made possible through a sizeable €30-million investment in factory upgrades, including a new state-of-the-art laminator, that will ensure the facility is well positioned to meet the evolving needs of the U.S. and Canadian markets with a wider range of packaging formats. With this investment, Tetra Pak will be able to move some production from Mexico to Denton and offer noteworthy benefits to Tetra Pak customers, including improved service, reduced lead times and other logistical efficiencies. The new equipment incorporates the latest in laminator design, delivering additional flexibility, higher operational speed and top quality outputs. To accommodate the larger equipment, renovations will begin soon to build out additional space at the facility. The new equipment is expected to be in full production by the end of 2018. In the Denton Converting Facility, paperboard is printed and layers of base materials, namely paperboard, aluminum and polyethylene, are converted into rolls of aseptic packaging material. The new laminator will be used to apply polyethylene layers, laminating together printed material and aluminum as part of this process. Tetra Pak is the world's leading food processing and packaging solutions company. Working closely with our customers and suppliers, we provide safe, innovative and environmentally sound products that each day meet the needs of hundreds of millions of people in more than 170 countries around the world. With more than 23,000 employees based in over 80 countries, we believe in responsible industry leadership and a sustainable approach to business. Our motto, “PROTECTS WHAT’S GOOD™," reflects our vision to make food safe and available, everywhere. 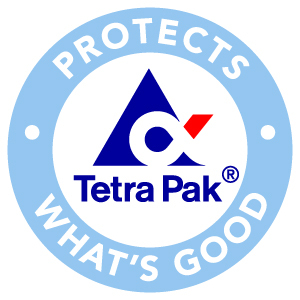 More information about Tetra Pak is available at www.tetrapakusa.com.